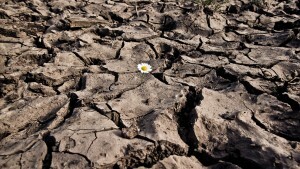 Home » Climate Change » Soils Are Threatened: Can We Halt The Problem? Today, December 4, 2015, is World Soil Day — a day to connect people with soils, and raise awareness of their critical importance in our lives. Soils — the reservoir for at least a quarter of global biodiversity — have been neglected for too long. We fail to connect soil with our food, water, climate, and life. The maintenance or enhancement of global soil resources is essential to meet the world’s need for food, water, and energy security. Soil loss is an unfolding global disaster that will have catastrophic effects on world food production, according to scientists from the University of Sheffield’s Grantham Centre for Sustainable Futures. “At the moment, intensive agriculture is unsustainable — under the intensive farming system current crop yields are maintained through the heavy use of fertilizers, which require high energy inputs to supply inorganic nitrogen via the industrial Haber-Bosch process. This consumes five per cent of the world’s natural gas production and two per cent of the world’s annual energy supply.” The scientists’ research is published in a report (A sustainable model for intensive agriculture) presented at the recent climate talks in Paris. But soil is important not only for agricultural practices. “Soil is a vital part of the natural environment. It is just as important as plants, animals, rocks, landforms, lakes, and rivers. It influences the distribution of plant species, and provides a habitat for a wide range of organisms. It controls the flow of water and chemical substances between the atmosphere and the earth, and acts as both a source and store for gasses in the atmosphere. So, what is the current status of soils, considering the influences of man and land use? We know that soil loss is an unfolding global disaster. 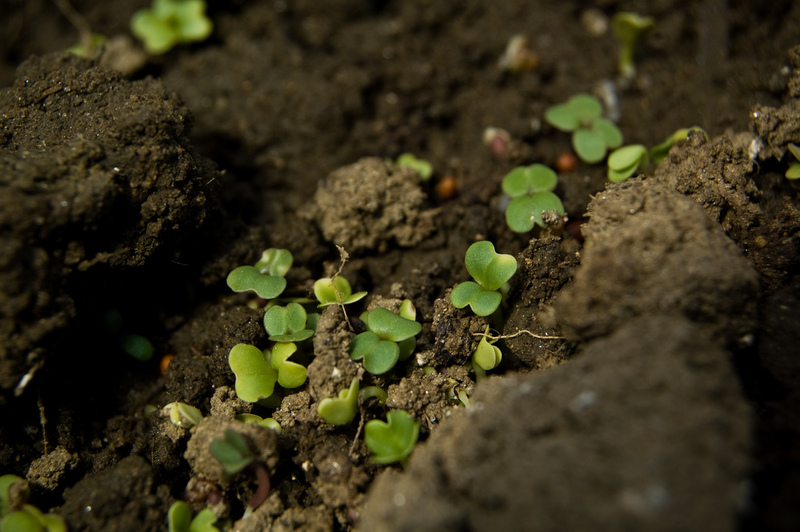 There is another report that adds more information: The Status of the World’s Soil Resources, which has been produced by FAO’s Intergovernmental Technical Panel on Soils, and it has been released today, on Soil World Day. The report, which brings together the work of 200 soil scientists from 60 countries, concludes that the majority of the world’s soil resources are in only fair, poor or very poor condition, and that conditions are getting worse in far more cases than they are improving. In particular, 33 percent of land is moderately to highly degraded due to erosion, salinization, compaction, acidification, and chemical pollution of soils. He also wrote: “We can expect that the extensive analytical contents of this report will greatly assist in galvanizing action at all levels towards sustainable soil management, also in line with the recommendations contained in the updated World Soil Charter and as a firm contribution to achieve the Sustainable Development Goals.” The report notes that, to feed a global population of some 7.3 billion, over 35 percent of the Earth’s ice-free land area has been converted to agriculture. The result is that soils have been cleared of natural vegetation to grow crops or graze livestock and, consequently, suffer from sharp increases in erosion and steep losses in soil carbon, nutrients and soil biodiversity. Urbanization is also taking a major toll. The rapid growth of cities has degraded increasingly wide areas, and contaminated soils with excess salt, acidity and heavy metals, compacting them under heavy machinery, and sealing them permanently under asphalt and concrete. Climate change is an additional strong driver of soil change, the report finds. 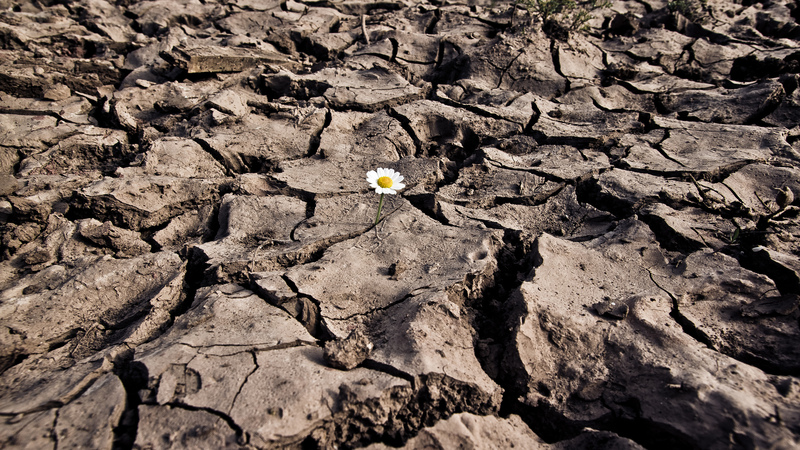 Higher temperatures and related extreme weather events such as droughts, floods and storms impact soil quantity and fertility in a number of ways, including reducing moisture and depleting the layers of nutrient-rich topsoil. They also contribute to an increase in the rate of soil erosion and shoreline retreat. However, it is possible to reverse the trend of continuous soil degradation and, through sustainable soil management, achieve healthy soils. The report focuses on the 10 main threats to soil functions: soil erosion, soil organic carbon loss, nutrient imbalance, soil acidification, soil contamination, waterlogging, soil compaction, soil sealing, salinization and loss of soil biodiversity. It notes how there is a general consensus on soil-related strategies that can, on the one hand, increase the supply of food, while on the other, minimize harmful environmental impacts. The solution proposed is one that focuses on sustainable soil management — and requires the participation of a broad level of stakeholders, ranging from governments to small-holder farmers. Erosion, for example, can be curbed by reducing or eliminating tillage — the digging, stirring, and overturning of soil — and using crop residues to protect the soil surface from the effects of rain and winds. Similarly, soils suffering from nutrient deficits can be restored, and yields increased, by returning crop residues and other organic material to the soil, employing crop rotation with nitrogen-fixing crops, and making judicious use of organic and mineral fertilizers. I live in the forested region of western Oregon US. Industrial timber extraction utilizing clear-cutting practices is harmful in many ways that are pretty obvious, and in many ways slightly less obvious, however, soil degradation has to be the most destructive of the many ecologic harms done in these habitats. We know not what we do. I think that we actually do know what we are doing in terms of stripping our lands of natural resources. Simply put, we just don’t care. Now I don’t mean that WE ALL don’t care, but let’s face it – a majority of the population is filled with talkers and not doers. It is hashtag this, hashtag that – let’s all stand for a cause and post it on social media because this will make a difference in our world. When this method doesn’t work, we all turn to science to solve our problems. Science is cool, it is innovative, and best of all – we expect scientists to solve all of our world problems. We used science to engineer the equipment used by companies such as Northwest Tree Loggers. But now we need science to help restore biodiversity within the very foundation of our ecosystems – our soil. So how do we encourage non-scientists to counteract the negative effects occurring in these ecosystems? How do we propagate change, not through hashtags, but through real-life action? Would a government-driven initiative work? How can we get the general public involved? Protest tactics have been used less by large green organizations in favor of initiatives such as lobbying, formal complaints, judicial review, and coalition campaigning. The movement regained momentum after stalling in the 90’s and is in a similar situation today. Protest tactics are needed, but these organizations need massive structural overhauls to come up with even more proactive initiatives – right now they are close to becoming establishment entities themselves. Rachel, I think that we could persist in pointing out to individual people and general public just how their loved ones are being harmed by our failures to correct our mistakes in timely fashion. Lab science must greatly oversimplify the reality of soil complexity in order to try to clarify how soil quality degrades with land use degradations of pollution, compaction, erosion, etc. A lot of this research does get done, yet the incredible complexity and variability of the soil characteristics are usually not very well characterized by the resultant science. Each study is only a small piece of the whole soil ecology. There is a strong tendency for interest groups to use a particular group of studies to justify the prescription of land use that is desired for profit-taking (e.g. timber cropping and extraction paradigm). Funding biases often do not allow more essential detailed examination of the rest of the incredible complexity and beauty of the soil to sustain the ecology adequately. Chemical communication between trees and other vegetation via mycelia networks, micronutrient bioavailability impairment, synergistic plant community involvement in forest health and ability to resist disease organisms, cropping repeated removal of essential nutrients and micronutrients without replacement, etc. rarely get adequately studied and applied as new ‘best management practices in a timely manner…. while extractive degradation continues for profit. Resultant degradations of soil quality and watershed nutrient budgets rarely get assessed and costs of these degradations on a watershed level become accumulative externalized costs impairing watershed functions. These externalized costs should not be allowed as corporate ‘profit’ until they are accounted for to make the monitoring ‘science’ more complete and able to encourage better science-based land use practices that are more environmentally sustainable (and also more sustainable of resource beneficial use for ability to take profit over the longer term). There are good news for soils: last week, soil-related concerns have been highlighted on the agenda at the COP21 climate talks in Paris. It’s a very important first, meaning for the first time at a COP conference, agriculture had its own dedicated focus-day. We should thank the Lima-Paris Action Agenda, a partnership established between France and Peru to improve on-the-ground climate action in 2015 and following years. In the past, little attention has been placed on agriculture, food systems, oceans, forests, and so on, and now finally things are starting to move around, and call for attention and action on concerns related to the current status of agriculture. It’s a very old story, and we should know better by now, but we don’t. A Sanskrit text written in about 1500BC noted: “Upon this handful of soil our survival depends. Husband it and it will grow our food, our fuel and our shelter and surround us with beauty. Abuse it and the soil will collapse and die, taking humanity with it.” Hope we can fix the problem, we have the means, but we need to find the motivation to bring our soils back to health.